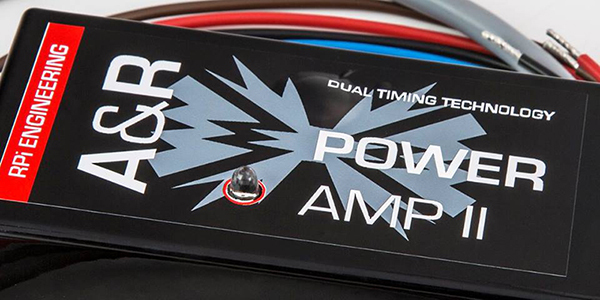 Take a look inside our A&R hand Built Ignition amplifer and Dual Timing system. 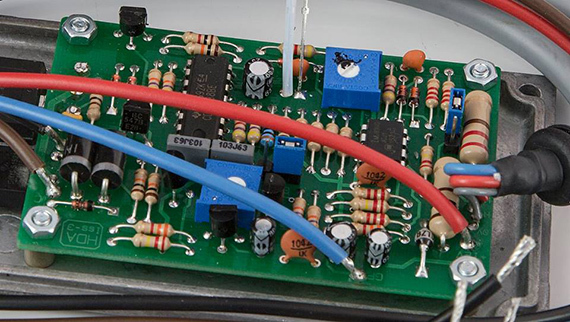 Almost 4000 amplifiers built / supplied the past 18 years, essential for all Rover Distributor ignition types. Will also work in conjunction with the Mallory Unalite and Dual Point Distributor. and much more in performance terms as well. What is the Advance by Retard system? LPG is much more economical and just as powerful as petrol, but the issue is with the ignition timing and spark intensity due to the slower flame front of LPG. When the selected fuel is gas, it is usually beneficial to employ rather more ignition advance than would be used with petrol to achieve best efficiency. The unit addresses this requirement by allowing the timing to be set up optimally for gas and then automatically retarding the ignition (by an adjustable amount of degrees) when petrol is selected. The automatic retard is activated only when engine revs are greater than 1500, since the unit?s accurate operation relies heavily on engine flywheel effect. A diagnostic indicator LED lights up when the automatic retard is active. As revs fall below 1500, the retard does not cut out until below approximately 1200 rpm. This overlap ensures that the unit cannot ?hunt? near the switching threshold. Thus it is possible to have optimum setup for gas while avoiding problems associated with over-advanced timing when switching back to petrol. 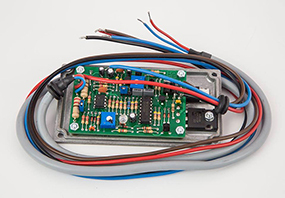 The unit contains its own integrated power output stage employing a low-saturation IGBT power transistor for low loss, minimal self-heating, and maximum reliability. The internal circuits are protected against accidental battery reversal. The input circuits allow configuration to suit most types of points and sensor types of distributors. 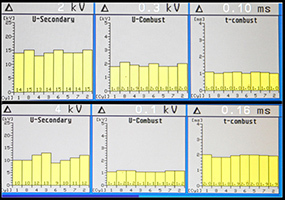 Bigger Sparks, Maximum Power & Efficiency Potential, especially when upgrading other areas. 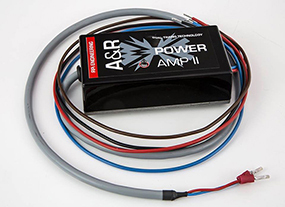 Our exclusive A&R Power Amp increases spark output from 35KV +/- (new stock) to nearly 50KV, & with Magnecor leads, this is all the ignition power you will ever need. Small on the outside - Big Power on the inside. Installation in less than 30 minutes without any experience. Uniquely The A&R unit is completely hand built exclusively for us & uses Insulated Gate Bipolar Transistor (IGBT) output switch technologyAlmost 4000 amplifiers built / supplied the past 18 years, essential for all Rover Distributor ignition types. Stylish, simple to fit and no screws or drills required, the unit sits on a pad of double sided tape that not only cushions it, but makes it so simple to fit onto and flat surface at any angle, even upside down. The quality is in its hand built construction, Maybe you would like a close look of that quality..